Players are always interested in the important question - Are there secrets of slot machines? Answer one: without physical access to the processor board - is not possible to win money! All the secrets of slot machines can be divided into two categories: the made-up scams and built on the change in the software gaming machine. About the first category we will not say. Here, everything is clear. Scam artists coming up with different game systems and try to sell them. 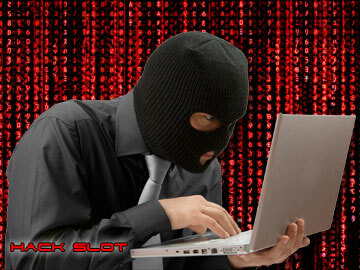 About the real secrets involving interventions software slot machines, we'll talk in more detail. All the players know that one player has won in a slot machine, you need to in this machine lost money a few players! If you do not consider yourself to people who go to entertainment clubs and casinos have a good time and you are a player with a clear goal to win money, you should know - the guaranteed winnings can only be a change of algorithms payout of the machine. Programmers call this process - reflashing slot machines. In this case, you need install the program (firmware) or make replacement of certain microchip. The whole secret is contained in the bug (program error), which is activated every time under certain conditions. Usually a bug on after entering the activator. Only the player who established a bug in the game machine will know his secret (activation codes). Hacking slot machine will be a matter of technique. "Bug" - this is a bug in the program or system that leads to unexpected or incorrect results. In our case - is a sharp increase of interest payout or is generated by a winning situation, after activating a bug in the firmware. To crack the gaming machine, only can help bug-firmware (bugs) - this is the real secrets slot machines. Bug-firmware are recorded on chips (flash-modules) - is one of the most popular ways of cheating slot machine Gaminator (Novomatic), Igrosoft and Mega Jack. All products offered on our website are relevant only to crack slot machines. In other words, everything here that will give you a 100% chance to win in slot machines. Here you not find the false game systems and strategies... Here you will not find a device jammer... Here you will not find software for mobile phones that allegedly hack into slot machines... Pay attention to this nonsense could only person who did not attend the lessons of physics and Informatics. If you are interested secrets slot machines, you have got the right place. We will share with you information - how beat the slot machines! It's no secret that the gaming machine is a mini-computer which consists of different chips. Each device performs its task. If you write a bug on a chip, which is responsible for mathematics games, then this slot machine will be your servant.